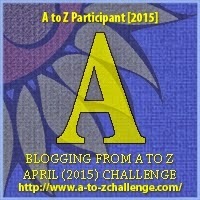 Xpress Your Essence: #AtoZ Challenge: A is for ABUNDANCE! I like this word for not only does it conjure up good feelings, if you look at it carefully you can break it up as follows: a-bun-dance. I think this stirs up a funnier image and feeling as in "shaking your booty." I don't know about you, but I love dancing and can get pretty wild...I mean just letting go and having fun. How about you? On a more serious note though, I'd like to point out that a lot of people are blessed with abundance in their lives. I could give you many examples; however, I'd like to give you the opportunity to share some, preferably unique things you are blessed with in your life. I will give you a personal example. Yesterday, despite a very long day of moving and final cleaning (mostly floors) of my suite, I was aware of the abundance I had experienced that day. 1. The weather was primarily clear, cloudy, with only a few droplets for a very brief time, maybe five minutes? 2. I had an abundance of helpers, an extra last-minute hand was available via another friend who helped me move which made moving a lot easier and faster. He was strong and efficient! 3. Enough vehicles on top of the moving truck I rented so I could return the truck back in time. 4. An abundance of 'gifting' - the generous gift from a female choir member who not only helped me with the last two carloads of stuff, including food (from fridge and freezer), she also helped me to return the rented rug cleaner AND paid for a delicious Rebellious Tomato pizza on top which we ate with another choir member and mutual friend. The latter was my original plan with friends and I was going to treat them, but they all had other commitments. So tell me, what is on your unique list? P.S. I will feature some of my own images, once I get my home computer set up. I loved your version of a-bun-dance Elly, the booty shaking variety...hehehe ;) You seem to be settling in fine at your new place. I'm glad you took up A-Z...its going to be fun! Elly, loving your theme and the post. There is indeed so much of abundance around us and yet we crave for more.. we need to just stop and look around. Good one. I am blessed with the uniqueness of the people in my life. I feel it depends on state of mind too. Few see abundance in less, for others it's never enough. So happy for you, Elly. Glad that things worked out so well for you. It is true that when you have a grateful heart, abundance is just around you! I have abundance of great friends, of which i'm really grateful for :) happy New homcoming, Elly :) be happy always, dear. Thx Elly... When I remember to look beyond my being and remember the vastness of our cosmos I remember how incredibly abundant we are. Glad all went well with the move.